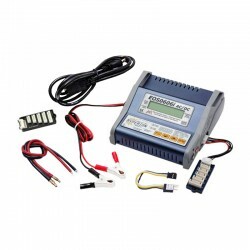 This is the Hyperion EOS 0730i Net3 Li/NiMH/A123 Balancing Charger. 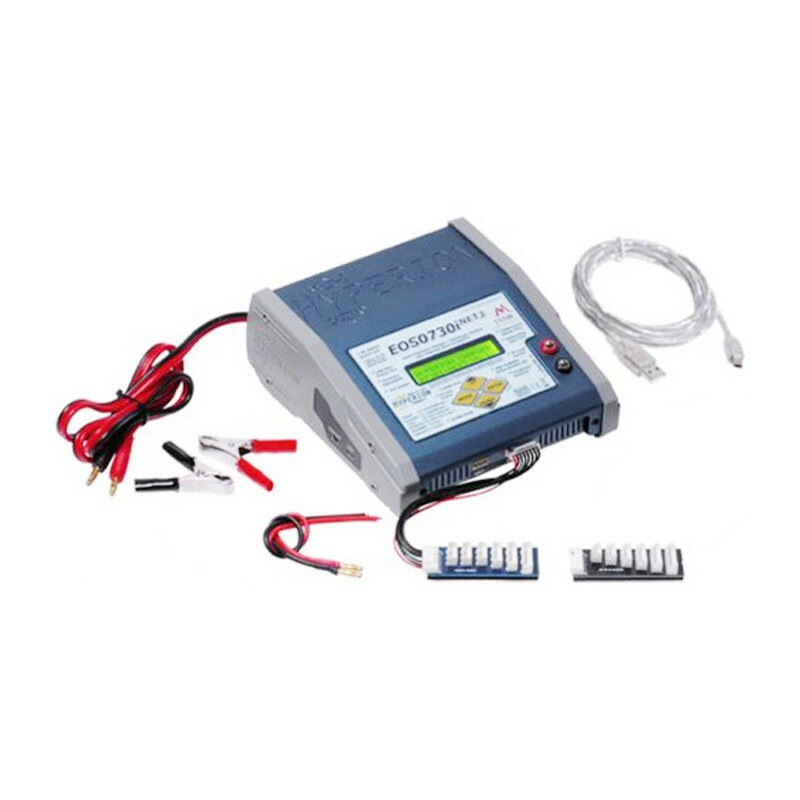 The Hyperion EOS0730iNET3 is an excellent choice for anyone charging battery packs up to 7S. 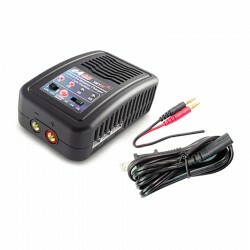 With an astonishing charge rate of 30 Amps, and 550 Watt output it is possible to speed charge high capacity lipos packs at 5C. 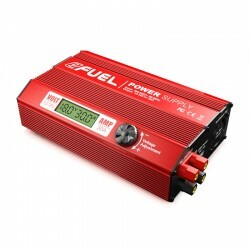 Even 6S packs as large as 5000mAh can be refueled in under 20 minutes. 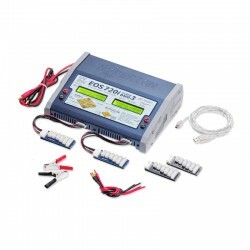 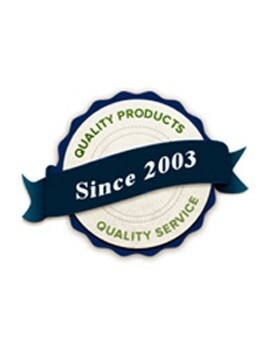 The EOS0730iNET3 requires a 24V-29V power supply to make full use of its potential. 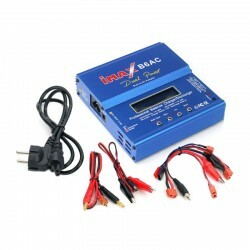 At this input voltage the charger performs with greater efficiency which allows for these performance levels. 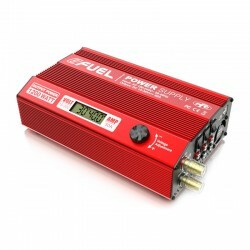 You can use any power supply with a minimum output of 10.5V to power the 0730i Net3, with performance around 300W at 13.6V.